This lovely silver and enamel egg was made by Stuart Devlin in 1976 . The top lifts off to reveal a giraffe and baby bending down to drink. 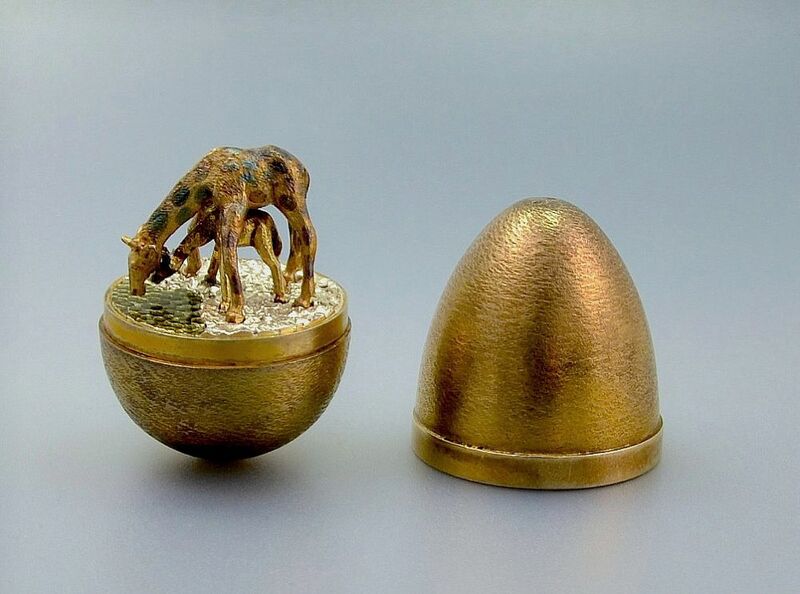 The giraffes are made in silver and have been gilded and enamelled and they stand on a textured silver and enamelled base. 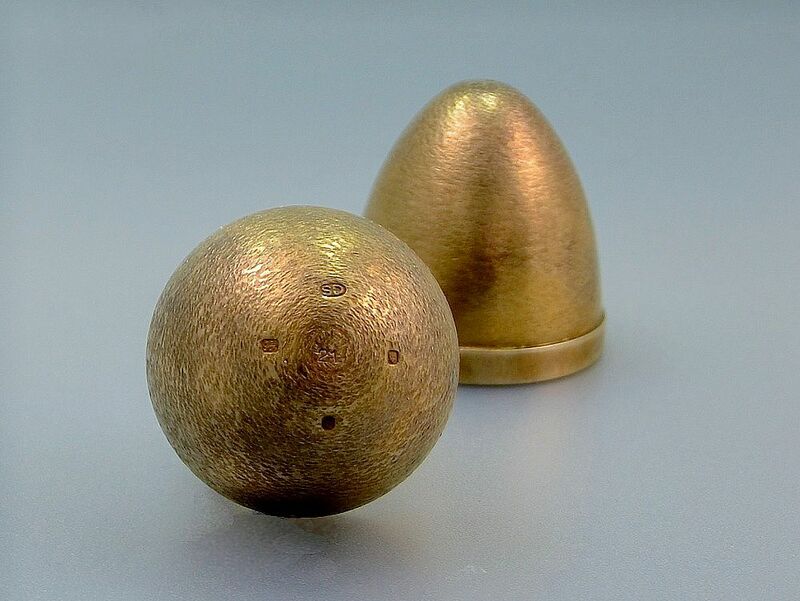 The exterior of the egg is textured and gilded. 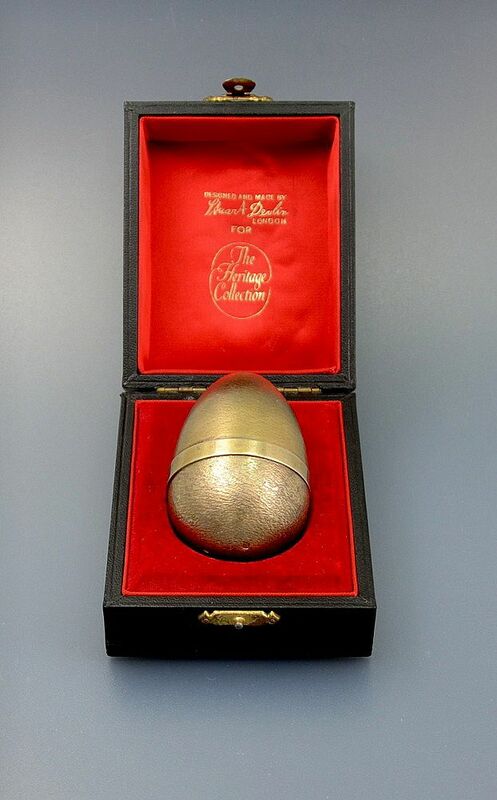 The egg hallmarked for 1976 and is stamped "21" being its limited edition number. The egg is boxed, the outside in bleak leather trim and the inside in red silk and velvet.